Architecture-Studio exhibition in Venice takes part to the debate initiated by the 15th Architecture Biennial « Reporting from the front ». To show how architecture can improve the quality of life, even in places where people struggle to live. To share stories and exemplar cases when architecture demonstrates its collective fertility. The exhibition presented at CA'ASI reports on the architects’ engagement in global contexts in two different ways. 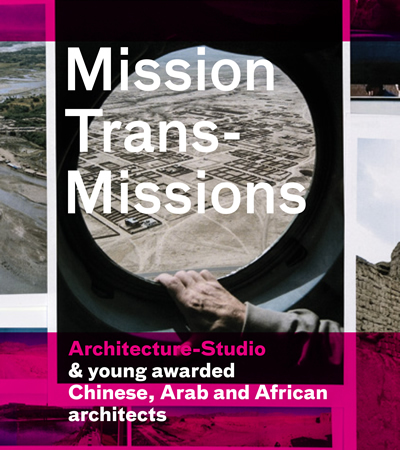 It will show projects built in China, in the Arab world and in Africa by young architects, a few years after the presentation at CA’ASI of their award-winning projects in 2010, 2012 and 2014, another way to “report from the front” projects from the whole world. Architecture-Studio will present some of its projects facing various problems, to show the multiplicity of architectural solutions, the answers that a French architecture adapted to the contemporary world can offer. From 26 May to 27 November 2016, the exhibition will present a free collective spirit, creative, transferable, and will focus on the sustainable development now imposed to humanity.